When looking at hiking GPS, I usually start with the most important metrics like case design(rugged/waterproof), battery life, weight, mapping and then move on to aspects like display size, included software and special features. You need something you can rely on to get you through low visibility trails or navigate you to a specific GPS coordinate. With any handheld GPS it needs to be as lightweight as possible (reduce your carrying load) and very robust. All the handhelds listed are ruggedised and designed to survive basic falls and shocks and are all waterproofed to varying degrees. Another important factor for hardware design is whether the unit is a touchscreen or button operated. I’ve heard arguments for both, but personally, button operated is better when out and about as there are a lot of situations where touchscreens can quickly become a hindrance (rain, cold weather and gloves, etc.). Battery life is a significant factor but I would say almost as important is the ability to quickly swap in another battery pack. Of course, you want to keep equipment to a minimum, but a spare battery might go a long way in a dangerous situation. Realistically you can use a 2-inch screen for most information, but a larger screen does help to give you a quick idea of the lay of the land without zooming in to see contours and then losing the overall mapping information. Some of the units I’ve listed here come preloaded with mapping information while others would need TOPO maps purchased separately. 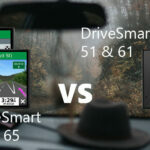 Most GPS handhelds have a wide range of software functions. Almost all units here have specific tasks for hunting/fishing functionality alongside sensors built into the unit. Particularly helpful sensors would be the digital compass that helps to work out your heading faster and give you more accurate navigation directions. With a properly calibrated barometric altimeter, this can also give you helpful elevation information as GPS altitude information can vary wildly in certain situations (poor GPS signal or connection). Another useful feature is the use of waypoints, saved favourite locations, routes and tracks. This type of functionality would likely be less utilised by recreational hikers comparatively to Geological or government workers. The scenarios where software functionality for waypoints/locations/routes and tracks are beneficial when considering using them to save locations and waypoints for endangered animals, minerals or any sort of resource. It can also be used for accurate location tracking of environmental damage, disasters, trash or points of historical significance. There are other options besides handheld GPS devices; some recreational hikers use smartphones while others are using the increasingly more available GPS smartwatches. An example of solid GPS watch would be the Garmin fenix 5 Plus series that come preloaded with AUS/NZ Topo Lite maps. 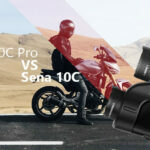 The only trade-off you get with these technologies is they are generally harder to keep powered when on the go. The GPSMAP 64s is one of 4 for the GPSMAP 64 series. This is arguably the middle child of the GPSMAP 64 series. The other models available are the GPSMAP 64ST and the GPSMAP 64SC, there are only a couple of differences between each model. The GPSMAP 64ST comes preloaded with TOPO maps (Lite version), and the GPSMAP 64SC comes with an inbuilt 8MP camera. I didn’t include the other options in this last as the 64s is the best general purpose option in my opinion. 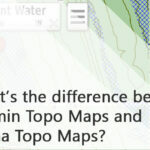 To get the most use out of it, I would recommend purchasing Full Topo Maps. The advantage of full topo maps rather then the lite version available on the 64ST is that you will get 10m contour lines and can use the device to route to specific addresses and through certain trails. This handheld GPS is button operated, and the large display and software features make it an extremely popular choice as a general-purpose handheld GPS. The battery life is fairly average for the bigger handheld sizes at 16 hours. Another added benefit is the external antenna option which gives you a slight advantage for receiving GPS satellite signals when the unit is mounted somewhere with no direct line of sight to the sky. It also takes AA batteries which means it's easy to have backup power instantly should you need it. The Montana 680t is arguably the most ‘powerful’ GPS handheld on this list. It comes with an 8GB internal memory that can be used for more mapping options and to store more waypoints, favourites and locations. The Montana 680t can store up to 10,000 points, 250 individual routes and has the capacity for 20,00 points on a track with up to 250 saved tracks. This is the handheld to go for if you have plenty of your custom tracks/routes and special waypoint locations. Obviously, with this information, you would want a fairly accurate topographical map to go with it, and the Montana 680t comes preloaded with full TOPO maps and an inbuilt 8MP Camera which you can tag the location and save it as a waypoint that you can later use the device to navigate towards. My problem with the Montana 680t is that it’s quite an expensive unit that suffers from the almost awkwardly large size, you can’t store it in a pocket easily, and the touchscreen can be difficult to use in certain environmental conditions. 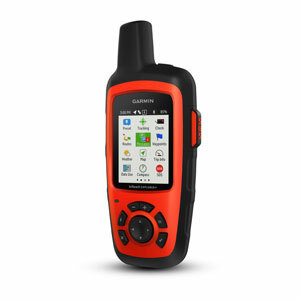 The inReach Explorer+ is more than just a handheld GPS, this device can be used as a two-way satellite messenger (with an active subscription). This means that when you’re really off the grid, you still have a contact line to emergency help (GEOS) or even family members, friends or team members. This is not just a one-way SOS signal you will be able to communicate back and forth through multiple messages. There is a full article available on this blog if you would like to know more about the subscription offers and more information about how the messaging functionality works. On the mapping side of things this unit actually uses a mixture of DeLorme’s and OSM (Open Street Source) mapping data. This is not entirely as accurate as Garmin’s mapping data but is still shows a lot of topographical information, and you also have access to any maps available online through Garmin’s InReach web portal. These maps cover most of the world to varying degrees of information. Just like the other Garmin handhelds on this list, you will have the ability to use tracks, waypoints and saved locations. This device has many compatible accessories including carabiner options and belt clips which makes it more versatile again. It does have its own special battery which means you can't just swap in AA batteries should it run out of charge but you can pick up powered mount options if you're travelling with a vehicle. 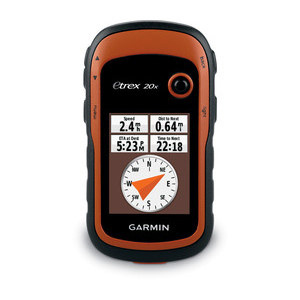 The eTrex 20x is the most cost-effective handheld GPS on this list. 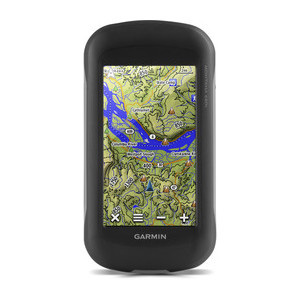 At $299 RRP it represents a lower cost of entry while still keeping a lot of the best functionality for a handheld GPS. An additional benefit with this particular unit is that it has the best battery life and its size makes it very to pocket. This device while missing out on some extra features like a barometric altimeter, digital compass or smartphone connectivity for notifications is perfect for simple GPS mapping use. 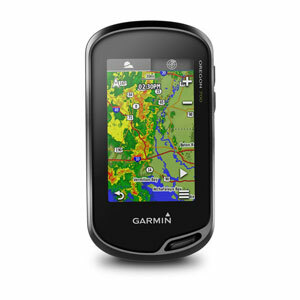 It has a Micro SD card slot for additional mapping options like TOPO maps or any of Garmin’s mapping data cards. The Oregon 700 is very similar to the GPSMAP 64s regarding functionality and screen size, though the GPSMAP 64s has the slight advantage with an external antenna. 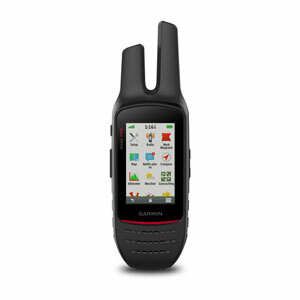 The Oregon 700 can still be used for waypoint navigation, tracks and log functionality. It’s also relatively light compared to some of the other units on this list and smaller enough to easily tuck into a jacket pocket. The Oregon 700 goes also has built-in profiles for different sports like hiking, cycling, paddling, etc.). Based on how similar they are though and the extra cost with Oregon I would recommend the GPSMAP 64s as a better option overall. 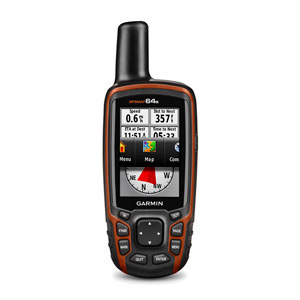 The Rino 750 like the inReach Explorer+is not explicitly designed as a handheld GPS but does have the capacity to load Garmin TOPO maps (need to be purchased separately or in a bundle). It is an extremely popular device for teams that need to stay in contact in the bush. This two-way radio has a large antenna for transmitting on a UHF radio which can also be used to send your location to any of your friends using a Rino device. This device also works with your Bluetooth enabled headsets. It’s heavier than a lot of the other units listed here and quite bulky so you might have trouble stuff it into a jacket pocket. It does have a belt clip option or carabiner option which makes up for the size inconvenience.